Yesterday evening I announced my candidacy for the Portland City Council position number two. 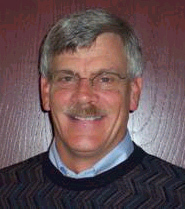 The incumbent is Commissioner Erik Sten. Portland’s city charter looks to the city commissioners to fill the role of both legislators and administrators. City commissioners are required to manage the city’s bureaus. Unfortunately, our city council is hobbled by a lack of private sector experience. Because of this the city has lost fifty thousand jobs over the last few years and increased taxation is often viewed by the leadership as the solution to the problem. I’m a native of Portland. When I graduated from Cleveland High School in 1972 this community was replete with opportunity. We had a thriving industrial base and there was a multitude of entry level jobs that started at well above the minimum wage. We had excellent schools. We had excellent infrastructure. We had a thriving middle class. Thirty years later this city is a mess. Ambitious, educated people are attracted to our community for the wonderful lifestyle only to find that there are no jobs. MBA’s are waiting tables. If someone is able to start a successful business venture, they must relocate once they became profitable because of our uncompetitive tax structure. The current city leadership is unable to deal with this problem; they simply don’t have the experience. What housing is affordable without a job? I’ve managed or owned a small business in Portland since 1980. I know what it is to make and stick to a budget. I know what it is to meet a payroll. I am absolutely convinced that the only way out of this mess is to revitalize our local economy by giving small business, the true job creation engine, an environment in which they can be competitive. With your help, I think we can make that happen. I’d be proud to have your support.